Mogadishu (HAN) May 20, 2014. The federal government of Somalia has praised the role of the Ethiopian forces in the African Union peacekeeping mission in Somalia (AMISOM). The government has called upon Ethiopian troops to help safe guard the International aid agencies and foreign diplomatic missions in the country. The federal state minister for foreign affairs Buri Mohamed Hamza in a lengthy meeting with Ethiopian ambassador Wondimu Asaminew in the Ethiopian embassy in Mogadishu has discussed how to strengthen the bilateral relations between the two neighboring countries as well as regional security and fight against terror. 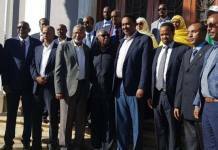 The Federal state minister has also thanked the Ethiopian government for hosting a number of Somali reconciliation conferences in its soil while providing shelter to thousands of Somali refugees who fled the country during the civil war. Mr. Hamza has requested Ethiopian AMISOM forces to help the delivery of humanitarian assistance to the poor and the needy people who are living in the former Al-Shabaab strongholds. 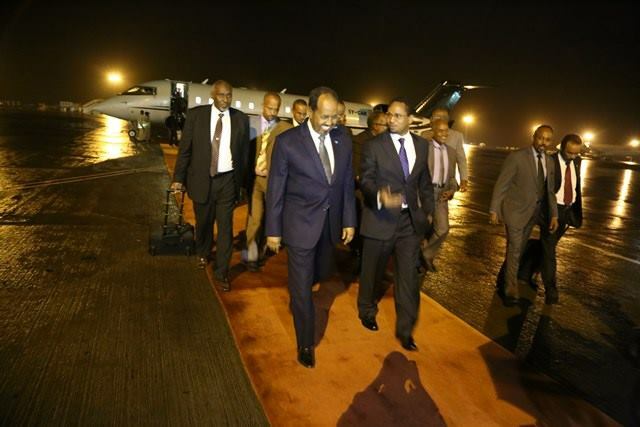 On his part the Ethiopian ambassador to Somalia Mr. Wondimu Asaminew has said his government is ready to assist Somalia while pledging to strengthen the relations between the two IGAD nations.